This page is dedicated to individuals and their efforts to participate in automotive sports at a personal level. You, too can experience the wonderful world of motor sports. Just do it! Long ago and far away, as they say, I had one of the most fun experiences of my life. 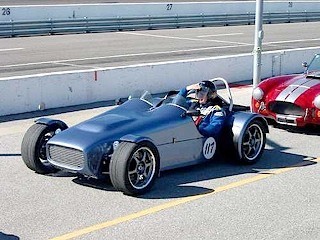 I built a Formula Vee racing car from a Autodynamics kit. This car used basic VW parts for the front axle, engine and transaxle so it was pretty simple in design. There was no water cooling to be concerned with and the rest of the parts went together quickly. 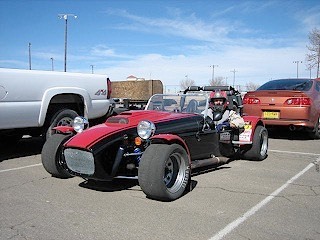 Although this company no longer makes kits I recently have been looking at some other kit cars and the Lotus Seven replicas seem to have a good grasp on what this hobby is all about. 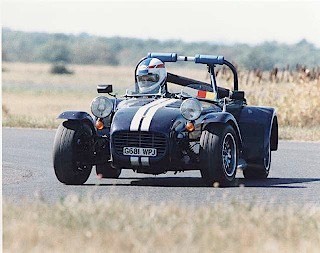 Caterham Cars (www.caterham.co.uk) builds a kit that is in a direct line to the Colin Chapman original design since they actually bought the name and plans when Lotus stopped making the Seven. Their kits are popular in Europe and they have at least two dealers in the USA. 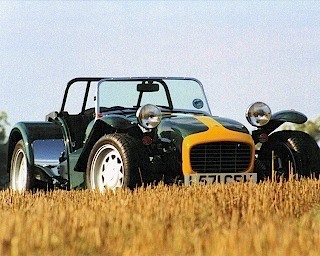 Here are a couple of pictures of the Lotus Seven kit car by Caterham. (I swiped these from other web sites. GOOGLE for Lotus Seven cars for lots of interesting information about them. Also, you might want to look up Colin Chapman to learn about his designs and racing history. He is quite a legend in the racing world. The rumor is that he designed the "7" in a week. 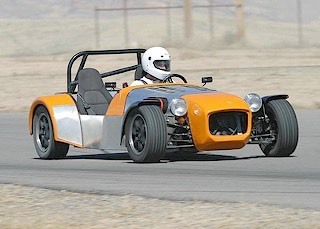 World Class Motorsports, www.wcmultralite.com, is an American manufacturer of cars that originated with the Lotus Seven. Based in Lancaster, TX, the builder has produced some very impressive cars that rival any of those from across the pond. The engine is primarily a stock Honda S2000 unit with a six speed gearbox. The rest--tube frame, aluminum side panels and fiberglass body, are pure single purpose, bare minimum parts designed to get the 240 available bhp to the pavement. I have included some photos of the Ultrilite. Let's get on with it!! Great night for a drive! 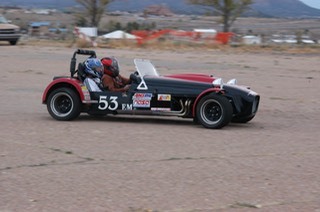 Another Lotus 7 type car designed and built by Dennis Brunton of Brunton Automotive is the Stalker. It is somewhat like the other cars above but Dennis has decided to use distinctly American parts for the power-train. In fact, most of the kits that have been sold have used engines, transmissions, and differentials, from Chevrolet S10/S15 trucks. The 60 degree V6 provides the power and a T-5 transmission is the perfect match. The Chevy rear axle housing is modified slightly to provide mounting points that fit the custom links designed by Dennis. American power and reliability coupled with historic design makes for a terrific, fun car at an affordable price. The web site is www.stalkerv6.com. This is what the StalkerV6 looks like. Chevy V6 and engine compartment details. 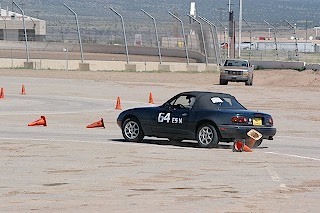 Great autocross and track car. Follow the Racing Motor Oils link for information about AMSOIL high performance racing lubricants. 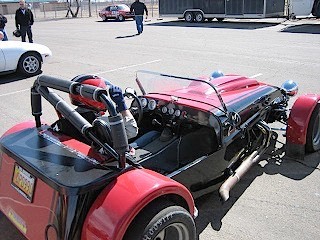 David Seybold's 3.8 Liter Supercharged Pontiac Powered Stalker. Giving a youngster a fast ride!! David Seybold is more than simply a weekend racer. He spends countless hours arranging for events and exploring for new venues for use by our region. He negotiates with the owners of property like parking lots, etc., and if that is not enough many times David is the event chairman. In addition, he built and maintains the StalkerV6 himself. (I guarantee there is no Stalker dealer where David lives!) The point is that it takes folks like David Seybold to make this sport happen and we are really glad to have him as part of our region. One more thing about David. Although he often takes FTD he does not rest on his laurels. He pushes the limit with his car and continually tries to do better. Sometimes, he even gets a DNF because of his desire to go faster through a pesky corner. David is a true competitor and a gives it his all every time. 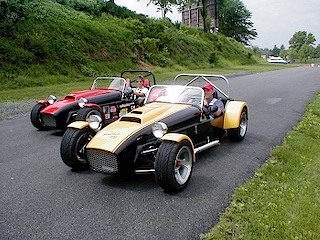 The driver reports from owners of these kit cars depict a vehicle that acts like a motorcycle with four wheels. The basic cars weigh around 550 Kg. (1200#) and have engines that produce from 135 bhp to 260 bhp. They must fly down the straights and corner like they are on rails. This is my idea of a true sports car. No windows, carpet, or fancy entertainment equipment will get in the way of a great ride down a winding back country road. Additionally, kit builders have been pleased with the many different options offered now. Porsche Speedsters, Cobras, GT-40s, and Zimmers, are only a few of the many replicas kits that are on the market. 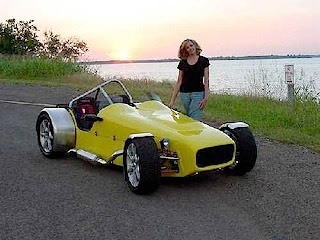 There are a couple of magazines that focus on this market: Kit Car (www.kitcarmag.com), and Kit Car Builder (www.kitcar.com), supply current information about the latest offerings of the many different suppliers of kit cars. If you are interested in building your own car for racing, autocross, or just touring the way it should be done, you will want to take a look at these magazines. 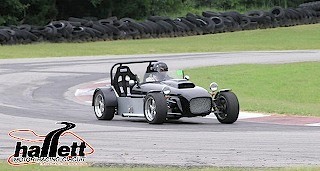 Another great source of news about the sports car racing scene in the USA is Grassroots Motorsports magazine. It is the official voice of the National Auto Sport Association, N.A.S.A., www.nasaproracing.com, and includes their schedules, etc. It carries information from the S.C.C.A. also. This magazine is more than simply the voice of an organization. It has lots of articles of interest about motorsports and all aspects of amateur racing. Major racing tire makers and equipment suppliers advertise in the magazine. 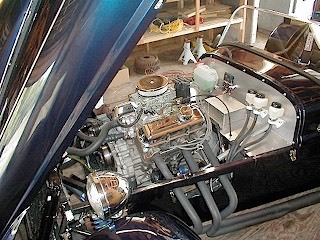 Some of their "Project Cars" are great and it is fun to read the documented progress of them. Pick up this magazine at your local Barnes & Noble or subscribe. Better yet, join N.A.S.A. and get it as part of the deal. I like the idea that all of these cars can be driven on the highway or used for S.C.C.A Solo I or Solo II racing as well as vintage car sports car racing on road courses. There was a time when racers actually drove their cars to the track, raced them, and drove them home again. Nostalgia, for sure!! Join up with the car group of your choice and work within to make it better. There are needs for volunteers at all levels. These clubs have been the backbone for motorsports in the USA for years and it seems to me that we need to support them and continue to make these events happen. We do not want the groups and clubs to go away and leave a terrific void in the automotive sports world. Auto-X is one of the best ways for old folks to keep in touch with what is happening. 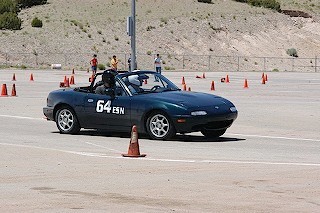 This is my 1996 Mazda Miata. 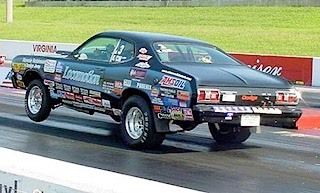 Another area of motor racing that has been around for ages is Drag Racing. High school kids used to find some dark road and hold informal drags late at night in the city where I grew up. These were great times even if they were illegal. Now, Drags have become grown up and for the past 30 years or so have provided some exciting times for all classes of cars and bikes. A driver can take his daily car to the track and see what it can do for 1/4 mile or he can build the special car of his dreams and go over 200 mph. Fuel powered cars blast down the strip at over 300 mph. Take a trip out to the local drag strip and see what the action is all about. 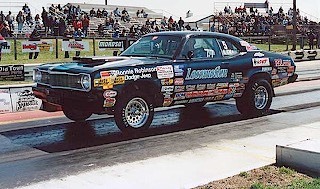 National Hot Rod Association: www.nhra.com.